We are pleased to offer our Video Learning Center full of information to help owners looking for property management services as well as residents and tenants looking to rent a home in Houston. We understand that you have questions, and we have the answers. Our Property Management Learning Center section offers helpful resources we believe will help you when choosing a Houston Property Management Company and why Real Property Management Houston is for you. We specialize in Houston Residential Property Management. 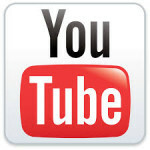 You can also visit the Real Property Management YouTube Channel to see additional Houston Property Management videos. Houston RPM has combined a variety of useful Houston property management videos that can help any potential resident or property owner. Discuss: How to take care of your investment property. Great Information for Houston Property Owners who cannot decide if they want to hire a Houston Property Management Company. Recent coverage includes a segment on Fox News which aired May 6 at 7:50 am EST. Here’s a portion of the segment. Why Choose Real Property Management Houston? What Does Real Property Management Houston Do? Thinking about Moving to Houston?